We correct your spinal imbalance without twisting or "popping," allowing your body to heal naturally. Because of that, the body has the potential to heal naturally. Join the thousands of people who have had their lives changed and restored with NUCCA! 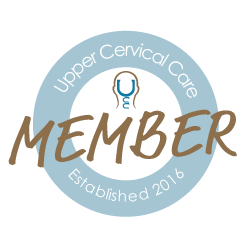 "Health Breakdown: What can you do about it and how Upper Cervical Care Center can help"
Join Dr. Schalow and Dr. D for an informative class on upper cervical care! Welcome Dr. Vitaliy Dobrogorskiy (Dr. D)! Dr. D join our team! A Rockford, IL Chiropractor winner of the Patients' Choice Awards.